The information on these pages is supplied by local accommodation providers and this website should not be held responsible for the accuracy of this information or the standard of services and facilities provided. 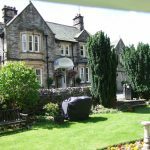 The Black Swan Hotel is a family owned, 16 bedroom, 3 glamping tents, multi-award winning Country Inn. 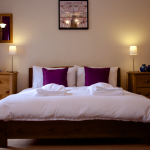 Luxurious rooms, great selection of cask ales & full bar & 2 AA Rosette restaurant. A warm welcome awaits you in this traditional toll cottage – refreshments provided on arrival. Original features include a wood burning stove, beams, flag floors and much much more. Close to the town centre with outstanding views. 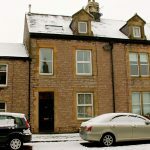 Ideal location in the Pennines close to the Lake District, the Yorkshire Dales and on Wainwright’s Coast to Coast route. 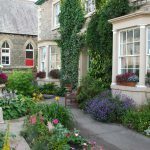 Chaper Cottage is perfectly situated for the Coast to Coast walk and is only minutes from the centre of town. Our Victorian home invites you to stay and have complimentary refreshments on arrival in the private Guest Lounge. Facilities available in the Bedrooms include footspa, hostess tray, cordial, hairdryer and dressing bathrobes. Eden House offers relaxed Bed and Breakfast accommodation on Wainwrights Coast to Coast route. 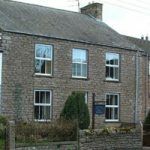 It is situated close to the centre of Kirkby Stephen and upon your arrival a warm welcome is accompanied with tea/coffee and homemade cakes. Built in 1833 Fletcher House is a delightful Georgian Grade 11 listed building which has many original features and character and is located right in the centre of Kirkby Stephen close restaurants, pubs, shops and to all amenities. We offer spacious en-suite rooms with tea/coffee facilities, Flat Screen TV, WiFi, hairdryers and central heating. There is also a comfortable guest lounge with TV, books and games. WiFi is available throughout the house. Gillian and Steve offer a friendly welcome with tea/coffee and refreshments and do everything we can to make your stay comfortable and enjoyable. Take a look at our website, for more information. 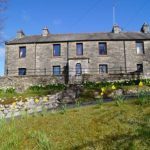 The Farm is situated about 0.75 miles from the picturesque village of Ravenstonedale, with instant access to the Howgill Fellsand offers extensive views across the Eden Valley, Green Bell and Wild Boar Fell. High Greenside is a working sheep farm. 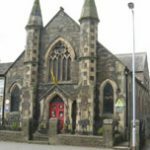 Kirkby Stephen Hostel, a beautifully converted former Methodist Chapel with many remaining authentic features including stained glass windows, arches, oak panels and stone covings. 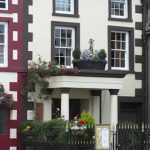 Ideally located in the centre of Kirkby Stephen, Cumbria our Hostel offers a range of comfortable accommodation and is ideal for individuals, couples, families and groups. Within easy access of The Pennine Bridleway, The Pennine Cycle way, Cumbria Cycle Way, W2W Cycle Route, Lady Ann Clifford’s Walk and the famous Wainwright Coast to Coast walk, ideal for Walkers and Bikers and tourists visiting the area. 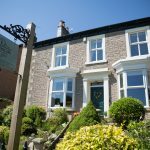 Lockholme is a beautiful Victorian Villa, looking out towards the Nine Standards, and has recently been lovingly restored, whilst keeping its character and fabulous original features. 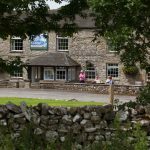 We are on Wainwright’s famous Coast to Coast path in Kirkby Stephen and greet you with homemade cake and drinks, in the sunny garden or breakfast room. Whether walking, cycling or exploring the amazing Eden Valley, a very warm welcome awaits you. `A little touch of loveliness, at Lockholme. Redmayne House Bed and Breakfast is a Grade II listed Georgian House with a wealth of original features. 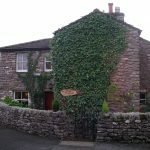 Located in beautiful Kirkby Stephen, Cumbria, we offer home from home accommodation, nestled in the beautiful Eden Valley. We are a perfect stopping point on the Coast to Coast walk and conveniently located, close to the town centre and all local amenities. South View is a working Dairy Beef and Sheep farm in the centre of the attractive village of Winton. It provides two spacious family/double rooms and one single room with tea and coffee making facilities. A mile and a half South West we have the market town of Kirkby Stephen. Ideal location for walking and cycling. Gillian and Martin Wainhouse ensure a warm and friendly welcome and a memorable stay for all their guests at Stouphill Gate. In a glorious setting with spectacular views situated in open countryside near the charming conservation village of Ravenstonedale, described by the noted A Wainwright as one of Westmorland’s loveliest villages, the traditional Cumbrian farmhouse offers easy access to the Howgill Fells and the National Parks of the Lakes & Dales, and is only a few miles away from the market town of Kirkby Stephen. 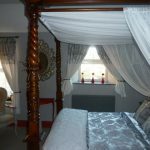 A former Eighteenth Century Coaching Inn in the market town of Brough providing luxury bed and breakfast accommodation. 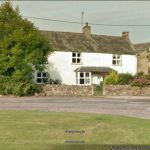 The Fat Lamb is a typical Cumbrian country inn set in magnificent open countryside mid-way between the Lake district and the Yorkshire Dales National Parks. 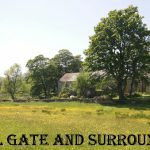 Handy for accessing both of these popular areas, yet far enough away to avoid the crowds and offer real peace and quiet, it provides an excellent base for walking and touring into England’s beautiful North Country. Traditionally run and under the same ownership since the late seventies, we pride ourselves on the number of return bookings we receive. The Old Croft House is a Grade II listed Georgian town house situated in the picturesque market town of Kirkby Stephen in the beautiful Eden Valley. 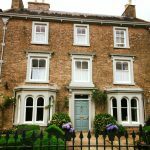 The house dates from 1750 and has retained much of its original charm and character with a relaxed and friendly atmosphere. A warm and friendly welcome awaits you at Tranna Hill (AA 4 stars with Breakfast award) which is situated on the edge of the small village of Newbiggin on Lune with fantastic uninterrupted views of the Howgill Fells. 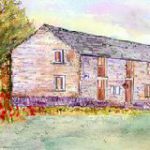 An ideal base set amidst wonderful scenery in a relatively undiscovered area for walking the Nature Reserve, valleys and fells, for touring the Lakes, Dales and Eden Valley or for fishing and golfing. Being only 5 miles from M6 (J38) we are an excellent stop over to or from Scotland. We are also a popular stop over for walkers on the Coast to Coast walk and the Dales High Way. 300 year old renovated farmhouse.